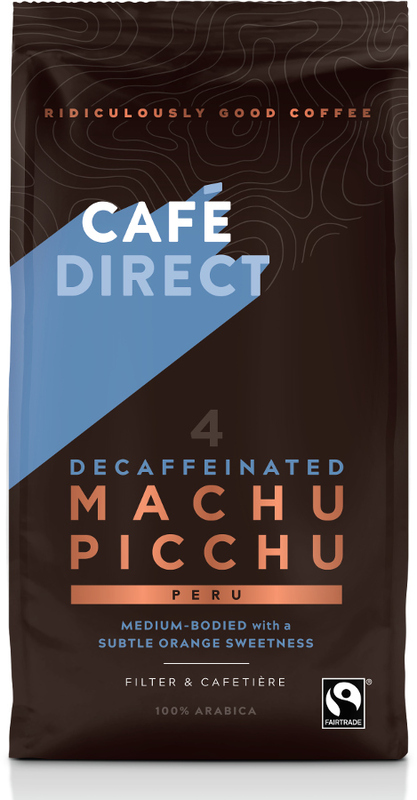 A delicious, caffeine free alternative to Cafedirect's popular Machu Picchu Coffee. This fresh ground coffee retains all of the taste of the original, but without the caffeine. Blended from high quality beans from Latin America and Africa, this is a premium fresh ground coffee, meant to be savoured. You can enjoy this delicious decaffeinated fresh ground coffee in the knowledge that it’s improving the quality of life for the hard-working pickers and growers of the Headquina cooperative. This coffee is suitable for all coffee makers. 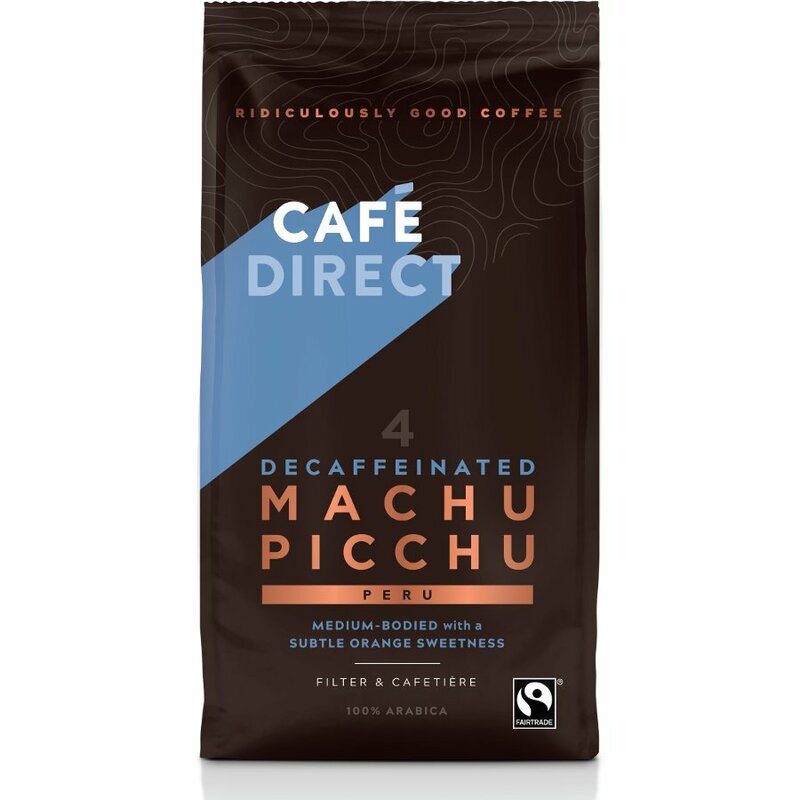 The Cafedirect Machu Picchu Decaffeinated Filter and Cafetiere Coffee - 227g product ethics are indicated below. To learn more about these product ethics and to see related products, follow the links below. Coffee is excellent and meets my needs. Lovely tasting. Q: How is the caffeine removed - are chemicals used? A: Good Morning, Many thanks for your query. Cafedirect uses two methods to decaffeinate their coffee, The first is called “the CO2 method” and is certified as organic by the Soil Association. Only pressurised CO2 and water are used in this method, so it does not involve any synthetic chemicals. It does, however, require a large amount of electricity to power the process. This process is used for all Decaffeinated Organic Freeze Dried Coffee. The second method is called “the Methylene Chloride method” and uses a chemical solvent to extract the caffeine from the coffee. This method is used to decaffeinate all non-organic products. It is a cheaper and less energy-intensive process than the CO2 method. The Methylene Chloride method will have been used to decaffeinate Cafedirect Decaffeinated Fresh Ground Coffee - 227g. I hope this helps.